I add an optional planetary hike, pending weather conditions. After the observation of the sun position, we will walk the planetary hike nearby. Along this hike the distances of the planets are displayed in the scale of 1:1 billion. So every meter on the hike equals 1 Mio km in space, and we will try to reach Pluto in 5 km distance. Please be aware this could turn out to be a tiring hike, I expect 12 km including the way back (4 hrs) through the Lainzer Tiergarten. Take some food and drinks with you, on the way back we could rest in the Restaurant Schießstätte, pending mood and physical condition. 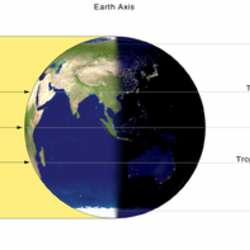 The spring equinox will take place March 21st and marks the beginning of spring on the northern hemisphere. Following the winter solstice Dec 21st, the shortest day of the year and therefore the lowest position of the sun on the ecliptic at noon, we will have another try now on the Spring Equinox to see the rising position of the sun on the northern hemisphere, This is the day where the night and day are equally long and the day become longer. We will visit the Protected content and observe on the south facing pole the position of the sun at noon. You will see 3 marks; the lowest represents the position of the sun on December 21st, the middle the positions on March/September 21st and the highest the position of the sun on June 21st. It is always fascinating to visit this place from time to time and realize how precise the law of physics in the macro world is. I will explain in detail the motions of the sun, a little bit of celestial mechanics is always refreshing for the mind. P.S:: In case of bad weather I will postpone this event.